Although Ruck and Maul is taking a summer hiatus, there a few items of interest that have met the eye recently. 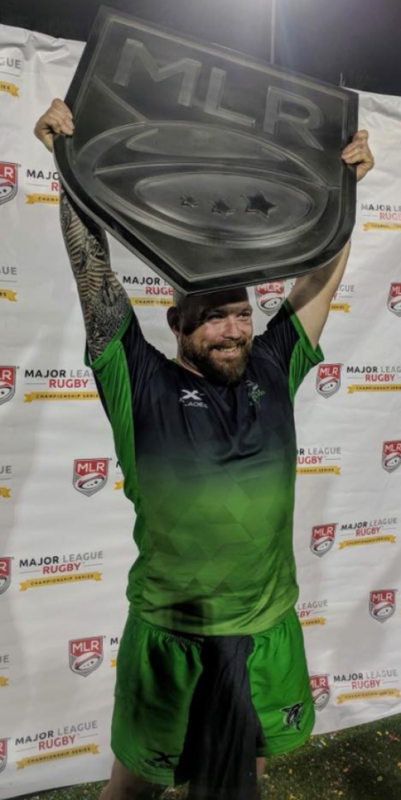 First and foremost, the Seattle Seawolves (7 – 2) claiming the initial MLR trophy in a come-from-behind victory over the Glendale Raptors (8 – 1) in San Diego on the weekend. The Wolves led 8-7 at the half on the back of a Ray Barkwill, classically mauled try but they trailed 8 – 19 in the second stanza. Stout defense led to good offence and the Wolves scored fifteen unanswered points. CW would like to congratulate the Canadian Connection with the Wolves, Captain-Coach, Phil Mack and CW’s Barkwill and Cam Polson. The general news is so gaga about the success of the league in its first year that the future and expansion seems to have earned almost more attention that the details of the game. Comments and future thoughts can be read at The Guardian. Some opinions are so ‘big’ on the league that they suggest this will be the path of rugby’s future in North America and it may well be so. Will it become the role of clubs to develop players purely to fill professional teams? This may be a little far-fetched and we will try to sit down with Ray Barkwill – a wise and experienced rugby head to chat about the standard of play and the future. Snippets I viewed throughout the season on utube clearly showed a higher standard than BC Premier play (espoused as the gold standard in some circles) – bigger, faster, stronger, mostly more skilled leaving players with far less reaction time. The bottom line for the future of rugby in B.C. is still all about growing the game. There has been a measure of complacency with this aspect as tribes have simply sought the title. All food for thought! Two weeks back the BCRU held its annual gala of age grade rugby, the PRC Championships, with around 900 kids playing! South Island and Combined VIRU girls and boys teams had good successes, liberally sprinkled with CW youth. This writer wishes to thank the sacrifices that parents make to give their kids the opportunity of selection and competition (as this is all “player-pays”). Sadly, the Payer-Plays model may not always catch all of the best players. The following CW players represented either VIRU or South Island teams; U16 Boys (1ST place), (CW coaches, Kapi, Dobravsky and Fraser) – Owen Smith, Max Abercrombie, Josh Mao, Matt Gordon, Max Nishima, Alex McCallum, Alec Boegman and Liam Poulton. U18 Boys (VIRU 2ND place, coaches, CW’s Finnemore and Yak), Nick Carson, Jack Carson and Lachie Kratz. U18 Girls (VIRU 1ST place, coach assistant, Shaye Tudor) – Cata and Gabby Vangas, Maelle Reed, Katie Elsner, Brittany Gardner and Kelsey White. We congratulate all of these coaches and players, whilst awaiting outcomes and names from Ed Knaggs (coach of U14 South Island girls) and Ollie Winsor, coach and Brian Huse, manager of South Island U16 girls. CW contributions to this program are large. As I am a member of a Super XV Tipping Pool, I have had cause to take in some of the Chief’s action and notably watch the play of Canada’s Tyler Ardron. Tyler continues to hold his own as a starter at the lock position in a Chief’s side that lies in third place in the NZ Conference. Meantime, also in NZ, CW’s ‘The Magician’, aka Anton Ngongo is wooing them in North Otago, having scored at least two, length-of-the-field break-out tallies. Check it out – HERE and THERE. ‘onya, Magic Man!